Find out more about Shropshire and Telford and Wrekin sustainability and transformation partnership (STP) including details of its population size, constituent organisations and priorities. Focusing on neighbourhoods to prevent ill health and promoting the support that local communities offer to help people lead healthier lives and encourage them to care for themselves where appropriate. 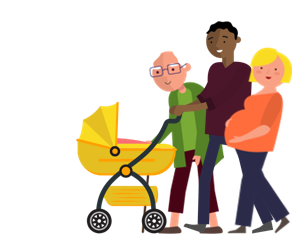 Multi-disciplinary neighbourhood care teams working closer together supporting local people with long-term health conditions, and those who have had a hospital stay and return home needing further care. Ensuring all community services are safe, accessible and provide the most appropriate care. Redesigning urgent and emergency care, creating two vibrant ‘centres of excellence’ to meet the needs of local people, including integrated working and primary care models. Making the best use of technology to avoid people having to travel large distances where possible – especially important to people living in the most rural communities in Shropshire and Powys. Involving local people in shaping their health and care services for the future. Supporting those who deliver health and social care in Shropshire, Telford and Wrekin, developing the right workforce, in the right place with the right skills and providing them with local opportunities for the future. The following organisations are part of Shropshire and Telford and Wrekin STP. For individual contact details for these organisations, please see the NHS website.